TOKYO – Japan’s government has seen an incredible rise in tax revenues, with more funds coming in than any year in the last quarter of a century. The government of Japan has announced that its tax collections for the 2017 fiscal year were the highest in the last 26 years. The total amount of tax collected was approximately JPY 58.79 trillion (approximately USD 532 billion). The total amount collected exceeded the government’s own projections by approximately JPY 1.1 trillion. The revenue rise can be attributed primarily to rises in a 7.2 percent rise in income taxes, a 16.1 percent rise in corporate tax revenues, and a 1.7 percent increase in the collection of consumption taxes. In addition to the higher-than-expected tax revenues, the government’s own sending was also below forecast by more than JPY 1.4 trillion. 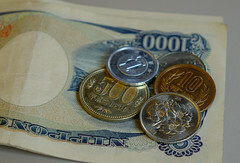 As a result of the increased tax revenues and the decreased spending, the government’s surplus reached a total of approximately JPY 909.4 billion. The last time that Japan collected a comparable amount of tax was in 1991, as the country was enjoying its asset bubble and the accompanying economic prosperity.